This set of six IDaids was selected to assist in identification needs following a recent confirmation from the California Department of Food and Agriculture that Phloeotribus scarabaeoides (olive bark beetle) is present in California. 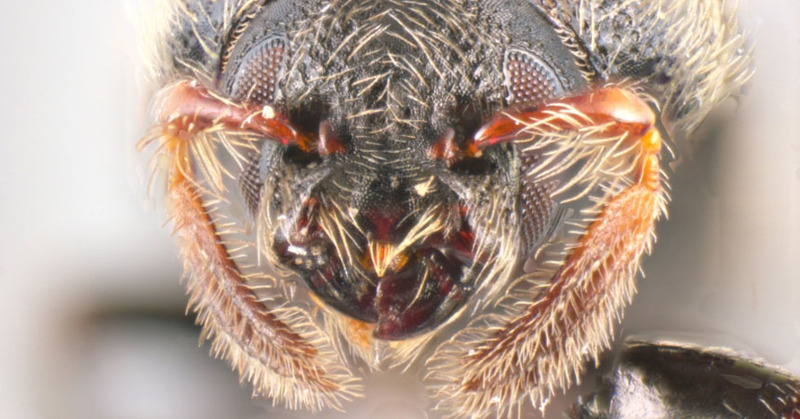 This is the first record of this pest in the United States and in the Western Hemisphere. Its primary host is olive trees (Olea europaea). Adult beetles are attracted to chemicals emitted by the plant after injury takes place (kairomones), including after pruning. This tiny pest attacks both weakened and healthy hosts. Although total yield loss is variable, the effects of damage on an individual is cumulative and could potentially leave a tree unproductive within five years, as described in this paper. Other recorded hosts include Fraxinus (ash), Ligustrum sp. (privet), Syringa (lilac), and Phillyrea sp. (false olive). This PaDIL page features a photo gallery of diagnostic features and a brief description. 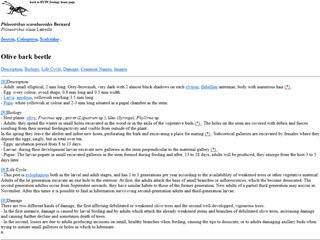 This fact sheet contains the beetle’s description, biology, life cycle and damage; accompanied by images. Available in French and English. 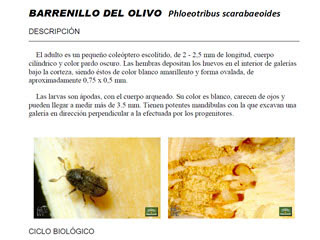 This PDF from Spain covers morphology, life cycle, and damage, along with photos of the insect, galleries, and damage. In Spanish. 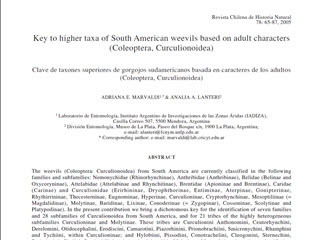 This article is in two parts: descriptions, definitions and illustrations of adult structures and taxonomic characters present in seven families and 28 subfamilies, including genitalia and mouth parts; and a dichotomous key based on adult morphology to identify specimens down to subfamily rank. 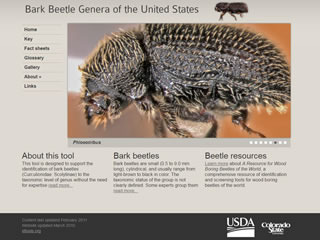 ITP’s Bark Beetle Genera of the United States identification tool allows users to identify beetles to genus level using an interactive key. The tool’s fact sheet for Phloeotribus covers distinguishing characteristics of the genus along with images. 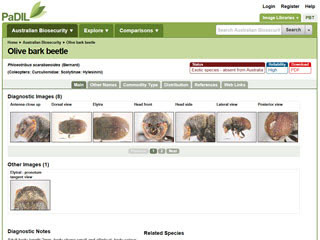 Includes morphology, life history, economic importance and management information for this pest. 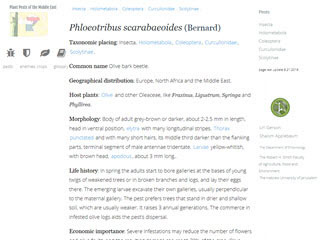 A “website” link at the bottom of the page goes to a set of images of the beetle.